with more than 60% of the membership voting in favour of a more modest increase to the Per Capita Fee, enabled Scottish Golf to commit to a series of measures designed to reinvigorate the game. 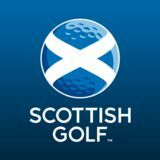 A new platform is already being tested that will not only connect the game in an unprecedented manner in Scotland, providing new marketing and sales opportunities for clubs, but also provide the flexibility to introduce the many thousands of pay-per-play golfers whose integration into the golfing family has been long overdue. We have provided a commitment to ring-fence funds for the development of the game among our clubs as part of an overarching strategy to increase participation, especially among women and young people, to support club development at all levels, and to increase commercial revenue. The platform is the central pillar of this strategy and the key to delivering an enhanced service for all golfers now and in the future. CEO Introduction A goal without a plan is just a wish. 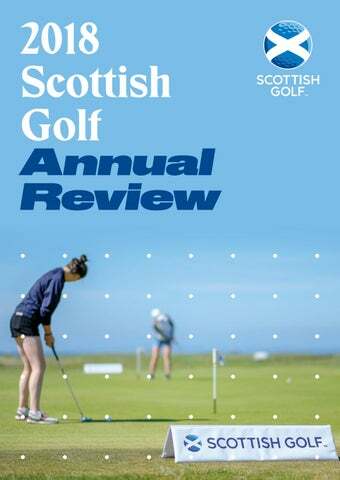 I am pleased to report that the key strategic objective for all of us at Scottish Golf – to grow the game at all levels in its spiritual home – is underpinned by a robust plan endorsed and, in no small measure, facilitated by our members in the past year. In what has been an eventful first year in post, I have travelled countrywide and listened to the impassioned views of some of the hundreds of thousands of golfers who collectively are custodians of its future. The views may have differed on a range of subjects that affect the game at local and national level, amateur and professional, but one common theme was resounding across the spectrum of players, administrators and volunteers: radical change is required to address the well-known trends in membership and demography. It is incumbent on me and my senior team not only to listen but to act to implement the changes needed. The General Meeting, as the Chair alluded to in her welcome, represented a turning point for the game: the divisive and protracted discussions on an increase to the Per Capita Fee brought to an end that enables Scottish Golf the financial means to deliver on a number of key priorities including on its promise to provide a platform to rejuvenate and even revolutionise the game for players and clubs alike. If 2018 can be summarised as a year of consultation, and of strengthening relations with our members, 2019 will be the year of implementation. The digital system is already at testing phase and we were delighted that more than 300 clubs had expressed interest in participating in a trial within weeks of the second National Conference. I would like to thank our Chief Commercial Officer, Iain Forsyth, for not only outlining the myriad benefits to clubs at the conference but for overseeing the implementation process. It is our intention that the system will be rolled-out to as many clubs as possible by the end of this year, providing a more sophisticated offering for existing members but, also providing us with a way to integrate the tens of thousands of pay-perplay golfers into the game in a more meaningful, engaging and enduring way. It is not only an important leap into the digital world but, as many other industries have discovered, essential to the survival and evolution of our game to younger generations, for whom membership must be both affordable and flexible. It is the means by which we must radically reposition ourselves from the stuffy (and in many cases inaccurate) perceptions of golf clubs and embrace a more open, inclusive, data-driven future. Perception, though, is the reality for those who have either turned away from golf or not been compelled to take it up in the first place. Our business objectives are reliant on generating new income streams and the platform not only opens up an untapped army of casual golfers currently spending their money via third-party sites but a more diverse database will enable us to identify and attract sponsors in a more strategic way: enabling authentic and meaningful engagement and value. The added incentive for the pay-per-play golfer will be the ability to achieve a handicap. It is a subject that has inevitably created discussion and debate but the facts remain incontestable: our membership numbers have declined yearon-year. We have lost circa 50,000 in the last 10 years and the trend shows no sign of stopping. Unless we take the radical steps discussed. Why can’t we have an amateur championships with the best amateur players in the country, regardless of their membership status? Why can’t we welcome pay-per-play golfers and make them a part of the future growth of the game? The reality is if we don’t act now, someone else with less altruistic motives than us will and we will have lost our one chance to arrest the decades-long decline. We have an opportunity to make golf a hub of thriving local communities for all, to connect in ways we have never connected before, and ensure younger players – especially girls – are encouraged to participate, not feel intimidated or unwelcome. Financial Summary Against a backdrop of continued challenges with the income profile of the organisation and as previously intimated to the membership, our financial objective this year was to continue critical support services and utilise reserves to absorb a planned budget deficit for the financial year. This decision was taken in what was considered a transitionary time and to facilitate stability within the organisation which had faced significant change since inception. It was also taken to provide stability as a new CEO was brought on board. As previously advised a contributing factor to the reduced income of the organisation was the reduced investment from sportscotland, which due to timing of their investment year had a knock-on impact for 6 months of our financial year. Despite there being a budget deficit of c£300,000 approved by the Board, the executive worked hard in challenging circumstances to ensure efficiencies were delivered and to focus on additional income opportunities to ensure that the year end performance came in significantly better than budget. The final results show an increase in revenue versus budget and continued savings on costs compared to prior years and are testament to the continued focus of the team. Overall, the balance sheet of Scottish Golf Limited remains strong with net assets of £983k. This is largely underpinned by cash and the balance sheet remains robust. With a four year strategy now in place and with an investment request presented to sportscotland that cover a similar timeline, coupled with a fixing of the per capita fee at £14.50 through until 2022 it is anticipated that the budgeting process for the organisation will be undertaken on a more secure platform for the next few years. In particular the increased per capita fee has created an opportunity to allow the organisation to grow and this increased income, together with stakeholder support to make it happen, means we are looking forward with a positive approach to growing the game. Investment in the strategic priorities might in the short term see the need for further utilisation of reserves to commence projects and any proposals will be considered on a case by case basis by the Board. Longer term the Board remain committed to reducing the organisation’s dependency on sportscotland investment and membership income, by increasing commercial revenues to deliver more focused spend in key areas for the benefit of our member clubs. Affiliated clubs in Scotland contribute 56% of our annual income, through a ‘per capita’ subscription collected as part of membership fees. The continued decline of club membership continues to present challenges for club and governing body alike and in conjunction with other industry partners and stakeholders there has been significant activity to encourage more people into the game. The strategic priorities of Scottish Golf continue to focus on membership with a particular emphasis on women and junior and we continue to support a number of initiatives centred around Get Into Golf, Solheim Cup and the excellent work being delivered by player foundations for junior golfers. Through this, every golf club in Scotland, supported by their members, is making a contribution to the development of the game. Our second highest level of income comes from investment and grants, such as revenue from The National Lottery, sportscotland, The R&A and in-kind support. The biggest potential market remains those who have exited club membership in the last number of years but whom we firmly believe are still actively golfing but simply choosing to consume their golf through a pay per play mechanism rather than club membership. This is an area of significant focus for the organisation within our strategic plan and if we can capture a small amount of this market the revenue opportunity is significant both for the organisation and the member clubs, through increased footfall to those clubs who chose to embrace the non-member golfer and to the wider golf clubs through our increased investment into club support services as this income stream is realised. Expenditure The organisation continues to have a broad remit, which is reflected in the diverse range of activities we allocate resources to. Indeed, our biggest area for investment continues to be in club development and support, with the aim of sustaining a healthy network of clubs and creating the next generation of players to sustain the game for generations to come. we are proud to advise that our employee profile is 52% male and 48% female, with our Executive 60% male and 40% female and our Board 67% male and 33% female with this gender profile we believe we are well placed to support, encourage and influence our member organisations to look at their profile and consider if they are truly representative of society. Digital Solution Embracing Digital Technology to secure golf’s future As the governing body of golf in Scotland, we have taken our time to understand and articulate the commercial challenges that the game faces across Scotland. The message from our shareholders has been clear and unambiguous. We need to unite the community of golfers across Scotland, so that we can enjoy the wealth of courses and ensure that we all contribute towards what the Home of Golf has to offer. Over the past 10 years we have seen a continual decline in golf club membership across the country with a total of 50,000 golfers either leaving or opting to participate in different ways. This trend has taken circa £25m out of the game and as the guardians of golf in Scotland, we cannot sit back and watch this decline. However, with any challenge, comes opportunity and at the 2018 National Conference, we set out our plan to enable golf clubs in embracing change. With over 450 delegates and many more tuning in online, the National Conference was the perfect setting to launch Scottish Golf’s new digital solution that will provide clubs with a platform to enable them in taking control of how their golf club is run, as well as allowing them to engage with the wider golfing population. In the weeks following our National Conference, Scottish Golf received a tremendous response to its new digital solution, with over 100 golf clubs registering interest within the first 48 hours. Since then, we have had a total of 331 clubs express their interest in the digital platform. Scottish Golf worked closely with Glencorse Golf Club in 2018 after the club identified a need to grow and retain the number of female players at the club. Ladies’ team captain, Lesley Campbell was keen to tackle this challenge head on and approached Scottish Golf in hope that the governing body could bring the new Get into Golf initiative to the club. Scottish Golf is also looking forward to building on the relationships we have with existing partners while also developing long-term relationships with new sponsors in 2019. We will have a number of exciting announcements which we look forward to sharing with the membership. Designed at creating a series of tailored group coaching sessions for women across the summer months, the Get into Golf programme supports clubs to develop a strategy for driving participation, looking at how effective marketing and social media promotion can boost engagement at the club. These are exciting times ahead and we look forward to working in partnership with all our affiliated clubs to provide a brighter future in the Home of Golf. Glencorse received support from Lesley Nicholson, Scottish Golf’s Regional Club Development Officer. Together, they set out a plan to deliver eight Get into Golf coaching sessions for new female players by the end of June. The club also made it their aim to increase ladies’ membership by 15% by January 2019. The governing body offered the club support in completing a funding application to assist with set up costs while providing access to the Scottish Golf coaching hub which meant that the club could receive advice on lesson planning. April 2018 marked the launch of Glencorse’s campaign as they held an Open Evening event at the club, which resulted in 29 women signing up for Get into Golf on the night and another 13 getting on board over the following few days. As Get into Golf teed off at Glencorse, those who had signed up were split into three groups for weekly coaching sessions. The eight-week course covered all aspects of the sport such as swing technique and how to work on improving your overall game. Eager to get the ball rolling for their potential future teammates, the Glencorse Ladies’ members also set up a buddy system, as well as lending them clubs and equipment. It will include a booking tee-sheet, handicap and membership management system, integrated payment processing, tour level live-scoring software with more features to come. In addition, all golf clubs that adopt the club management system will receive a fully customisable and easy-to-configure website, choosing from a range of themed templates enabling clubs to create their own unique website to promote their club to potential members and visitors. The website will also be free of charge and will include complimentary hosting. Maintaining engagement throughout the course, Scottish Golf advised the club to create a dedicated Get into Golf Facebook group for all participants to join. This page allowed everyone to see updates and share photos, as well as a weekly taster email from Ladies captain Lesley Campbell to introduce what the basis of their next lesson would entail. With an emphasis on encouraging more women and young people to engage in golf, Scottish Golf’s Development Team worked with clubs across the country to take positive steps to engage with new groups of potential members. Our next steps will include a testing phase in the early part of 2019 before moving into a more formal roll out. The most important part in all of this is that we listen and work with clubs to get the testing phase correct so that the system works for clubs. The new solution will support clubs and their business operations through one fully integrated club management system, as well as providing an App which will be available for all golfers. The platform has been developed in partnership with OCS Software who currently automate 32 professional golf tours internationally and will be free of charge to all Scottish Golf affiliated club that choose to adopt the system. Supporting clubs to be more welcoming, open and inclusive is a key part of Scottish Golf’s strategy and in 2018, the national governing body continued to work with clubs to increase their membership. Thanks to the enthusiasm of the participating newcomers, Glencorse were able to offer a flexible month-by-month membership with the club, which led to 15 new female members joining as full-time members until the end of February 2020 – one of whom has already reached a handicap of 23. Due to the popularity of the sessions, Glencorse is planning to run more sessions during spring 2019 to help introduce even more women to the sport. Lesley Nicholson, Club Development Officer at Scottish Golf said: “It has been fantastic working with Lesley and her team to help Glencorse Golf Club grow their female membership. Through the guidance offered by Scottish Golf their Get Into Golf committee produced a clear plan with measurable targets and timelines to keep them on track throughout the initiative.” Lesley Campbell from Glencorse Golf Club said: “Through the support of Scottish Golf and the hard work put in by everyone involved over summer, we have now increased our lady membership by more than 60% and our ‘Get into Golf Graduates’ are represented on our ladies committee to help the club introduce more ladies to golf in 2019.” Get into Golf is an initiative designed to help introduce new players to the game in a fun and welcoming environment, appealing to people who have never played golf but like the idea of giving it a go! The initiative is delivered in partnership by Scottish Golf and the Professional Golfers’ Association, working together to grow the game in Scotland. Get into Golf will return to clubs in 2019 and clubs can find out more by contacting their Regional Club Development Officer. Enabling clubs to be dynamic in attracting new members McDonald Ellon Golf Club sought support from Scottish Golf after identifying a need to grow its membership ahead of the summer. Focusing particularly on beginner, female and junior golfers, the club worked with their Regional Club Development Officer, Iain Evans to think about creative ways they could attract members. Club Secretary, Mike Morrice, was one of the key driving forces at the club and it was his interest in creating and implementing a dynamic business plan that saw the awareness of golf in the local community soar. In the club’s first engagement with Scottish Golf, Iain Evans helped assess the current situation, challenges and aspirations while helping the club agree to short, medium and long-term goals as well as highlighting the tools and support available from the governing body. During that 90-minute planning session, Iain and the Committee undertook a thorough and honest fact-finding discussion to get to the root of the club’s issues, then looked at potential solutions, including a club Open Day. Promoted through targeted flyers and posters in the local community, the club went on to run a hugely successful event on 24 June. Iain Evans, Club Development Officer at Scottish Golf added: “I love nothing more than when a club challenge us to come and help – in this case huge credit must go to the club for making such a great success of their Open Day. Whilst we can advise on best practice, give some useful tactics and access some funding, the success of the day will inevitably depend on the effort put in by the club staff and volunteers. If any other club would like to know more about how they can plan and deliver their own tailored Open Day, which can be a great short-term income generator as well as providing new members, your Regional Club Development Officer is here to assist. It all starts with a simple fact-finding and planning session and working together from which big and quick wins can be enjoyed.” To find out more about the support Scottish Golf can offer to help your club, please contact your Regional Club Development Officer. The club were able to use their Open Day to showcase the benefits of joining the club, with a particular focus on female and junior golfers. Alongside a BBQ and giveaway competitions, the ladies’ team and junior convener were in attendance to chat to prospective members and talk through the flexible membership options available to new players. All attendees registered upon arrival, allowing the club to target attendees with relevant membership and coaching offers via their email marketing tool. members and developing their golfing ability. Across the three golf clubs over 150 adults have taken up golf and the clubs have introduced an affordable beginner annual subscription rate to attract them into membership. Orkney, South Ronaldsay and Stromness all worked with Scottish Golf Regional Club Development Officer, Willie MacKay, to submit applications to Scottish Golf’s Roving Pro Fund. Set up to deliver coaching sessions and activities aimed at driving participation in some of Scotland’s most scenic, yet remote, golf clubs, the Roving Pro Fund proved a huge success in 2018. The Box of Tricks was developed in partnership with The Golf Foundation, who work with all the GB&I national governing bodies to support the development of junior golf. The concept was created as a result of research among young people and parents who were asked what they were looking for from their golf club and what would create the ultimate experience for a junior member at a golf club. Their research delved into the roles required to make up the best junior structure within a golf club, helping committees to identify the right people and skill sets for these roles. “The Roving Pro coaching would not have been as effective if the volunteer PGA Level 1 coaches at the three golf clubs had not followed up the coaching with their own coaching sessions and held junior competitions. They took turns in observing the Pro coaching and in between the visits they followed the coaching tips and work programmes that Allan Martin and Gary Lister created for them to follow. The winter sessions were phase 1 of a long-term plan. As well as expanding these sessions for next season, we also hope to see these juniors compete in some mainland events. Our plan is to have Orkney Juniors compete in regional events and build up to national competitions.” Scottish Golf is looking forward to working with clubs during the coming season where the Roving Pro Fund will return to engage local “Roving” PGA Professionals. As a result of the Open Day at McDonald Ellon, a total of 66 new members joined the club during the Open Day. Of the 66 new members, 42 were male and 24 were female while 18 of those newly registered members were under the age of 16. With low retention of junior members affecting clubs in the Scottish Isles, Scottish Golf worked with Allan Martin, PGA Coach Education & Development Manager to bring the Roving Pro initiative to golf clubs without a Professional. Using Solheim Cup as the Platform to Grow Female Golf The Solheim Cup returns to Scotland for the first time since 2000 giving the Home of Golf a fantastic opportunity to shine a positive light on the work being done to attract more women and girls into the game. It’s been well documented that Scotland lags behind our continental counterparts with only 13% of the nation’s golf club members being female, but momentum is building to address some of the challenges to deliver change. Scottish Golf’s work in this area was kick-started by the appointment of Carol Harvey in the new role of Women and Young People’s Development Manager in January, a post co-funded by the R&A and Solheim Cup to lead on projects over a three-year period. A new Solheim Cup Development Fund was also created by the Scottish Government, allowing the various partners involved in the event to tap into budget for activities designed to bolster the recruitment of women and young people into the game. One of the key initiatives developed in in the past year was the Young People’s Golf Panel, which will hit the ground running in early 2019. The Panel will comprise of a group of 14 – 23-year-olds who will be given an opportunity to have their say in what it takes to attract more youngsters into clubs. The Panel will meet on a regular basis and work on a series of tasks throughout the year, feeding back into Scottish Golf’s development team. Solheim Cup funding was also received to support the creation of a new Young Leaders Award programme, aimed at encouraging more young females to get involved in volunteering roles within clubs and schools’ golfing activities. Places will be offered to 16 – 25-yearolds within schools and local authorities with the chance to earn a qualification and gain work experience. Within clubs themselves, a new ambassadors programme is being launched to inspire more women to get involved in the running of their club, using the Solheim Cup as the hook. Members will be invited to step forward and take on the role of their SC19 Club Ambassador, to encourage their fellow members to buy tickets to the event, participate in Solheim Cup-themed activities at their club and support local women and girls’ initiatives. Ambassadors will be rewarded with Solheim Cup tickets, with the most engaged clubs receiving further recognition through a series of exclusive prizes. We hope the Ambassadors can cheer Catriona Matthew and the European team onto Gleneagles glory in September. Changes were also made to Scottish Golf’s front-facing regional personnel, with the previous Schools & Communities roles merging with the Club Development Officers to form a seven-strong network of Regional Club Development Officers, led by a new Regional Team Manager in Mandy Martin. Face-to-face support for club managers and committees will be provided by the RCDOs, but clubs will also benefit from direct input from the central team, who’s role will also include the delivery of regional workshops and seminars, with an increased number of educational events planned for 2019. An online learning platform was also launched to improve access to education for smaller and remote clubs, while seminars and workshops will also be filmed and available to view online, for those volunteers unable to attend events in their region. This was trialed successfully with our Safeguarding workshops and will continue throughout 2019 with Rules, Handicapping and Visitor Marketing workshops scheduled. Technology is continuing to play a pivotal role in sport, and in 2018 Scottish Golf welcomed the arrival of its new-look Championship Office. Boasting a new digital scoreboard, the tournament office helped improve efficiency and generate less plastic waste while contributing to a better overall image at events up and down the country. Fraser Munro, Scottish Golf’s Head of Events added: “Our new Championship Office and electronic scoreboard was another really positive development for our events and shows that Scottish Golf are positioning themselves at the forefront of technology, which is undoubtedly going to play an increased role in our sport going forward.” Ready Golf made its debut at all of our National Championships in 2018 and was welcomed by golfers as average round times improved significantly. Backed by the R&A, this change was introduced as part of Scottish Golf’s commitment to improving pace of play for its competitors, making the game more enjoyable for everyone. 16-year old Lily-May Humphreys claimed victory at the Helen Holm Scottish Women’s Open Championship, holding off challenges from Scotland’s Shannon McWilliam, Chloe Goadby and Hannah McCook. Humphreys finished on nine under par as five of the eight players selected to represent GB & Ireland at the Curtis Cup took on the links challenge at Royal Troon. Scottish Golf’s National Championships provided golfers with a fantastic stage to compete on some of the best courses the Home of Golf has to offer. With no fewer than 29 clubs playing host to one of the governing body’s national events, it was a season to remember for everyone involved. The continued support of volunteers ensured our events were able to leave a lasting impression on all of our competitors. golfers, with impressive results at home and overseas helping to highlight that the building blocks put in place by Scottish Golf are helping players maximise their potential. Hannah Darling was the first Scot to win after holing a 40-foot birdie putt at the last during the inaugural R&A Girls’ U16 Open Championship at Fulford. This win would set the tone for 14-year-old Darling who went on to successfully defend her title at the Xact Scottish Girls’ Amateur Championship. It was a magical May for Hannah McCook who held on in Wales for her biggest career win at the Welsh Ladies Open Stroke Play before going on to win in Ireland just seven days later at the Irish Women’s Stroke Play event. Shannon McWilliam flew the flag for Scotland at Quaker Ridge in New York as she represented GB & Ireland at the Curtis Cup. Despite a difficult week for the GB&I team, the 18-year old from Aboyne was able to gain valuable experience stateside, playing in four out of the five sessions. Australia-based Scot, Connor McKinney also represented GB&I playing at the 2018 Jacques Leglise Trophy at Kytäjä Golf in Finland. Scottish Golf’s handicap events provided golfers with even more opportunity to participate on some of the country’s finest courses in 2018 and while the organisation may be known for hosting leading amateur events, it was our continued commitment to providing players of all ages and abilities with an opportunity to perform that captured the interest of club golfers in Scotland. Our partnership with the R&A allowed for a new event to tee-off in 2018 with the inaugural Scottish Golf R&A 9 Hole Championship making its debut for golfers across the country. The new event, aimed at promoting nine-hole golf, presented club golfers from around Scotland with a once-in-a-lifetime opportunity to play at Carnoustie on the eve of the 147th Open Championship. As Scottish Golf continues to encourage shorter formats of the game, each affiliated club was invited to host a 9-hole qualifying event during the early part of the season with the winning pair from each club earning their place in the final at Milnathort. The final spanned two days due to the high volume of participants with over 270 competitors battling it out for an opportunity to play on one of Britain’s finest, and most challenging, tests of golf. It was Dunblane duo Richard McCluckie and Gary Aitken who topped the table on day 1 with 35 points as William Hill and Chris Spittal from Kenmore Golf Club took the second spot on the Thursday. Niddry Castle’s Tim Allwright and George Brown would join Falkirk’s team of John Newton and Harry Brown as victors on day 2, booking their spot in the final at Carnoustie. Carnoustie played host to The 147th Open Championship as Scottish qualifier Sam Locke stormed to success, winning the Silver Medal. Locke, who was also part of a nine-strong Scotland squad that took part in a competitive winter training camp in South Africa went on to turn professional shortly after The Open. Scotland’s Senior Men battled with the elements on home soil as Storm Ali made an unwelcome appearance at Southerness in September. With the second day’s play lost due to the storm, a change in the original format was agreed to ensure all three country versus country matches were played. On the final day, it was Scotland who turned on the style, losing only one match from fourteen on their way to claiming the title. Scottish Golf would also like to make note of the stand-out performances from Scotland’s four male professionals who successfully graduated from the Challenge Tour to the European Tour. Liam Johnston enjoyed two Challenge Tour wins on his journey to the top 15 while David Law picked up a win on home soil at the Scottish Hydro Scottish Challenge in Aviemore. Consistency was key for Bob McIntyre and Grant Forrest who also impressed throughout the season to secure their European Tour cards. As the national governing body, we are continually striving to have the best support systems in place to help Scottish players achieve their potential. The unprecedented success for Scottish players in the last year highlights the need to ensure players are given the right environment and opportunities to succeed and we are grateful to our partners at sportscotland, Aberdeen Standard Investments and the Alfred Dunhill Links Foundation for their continued investment in our performance pathway. National Champions Scottish Golf would like to congratulate all of our winners in 2018 and thank all of our host courses for helping stage these events.